The defender of Hell's Kitchen — Daredevil — stands upon a rooftop, ready to face the night! The gargoyle he stands on only hints at the underlying evil of home he has chosen to protect. Highly detailed, this piece highlights Daredevil's costume, a blood red uniform with a massive musculature underneath. His outstretched billy club cable assists the hero in his never-ending battle against evil. This statue is sculpted by Erick Sosa. It stands nearly 10-1/2 " high in 1/6 scale. 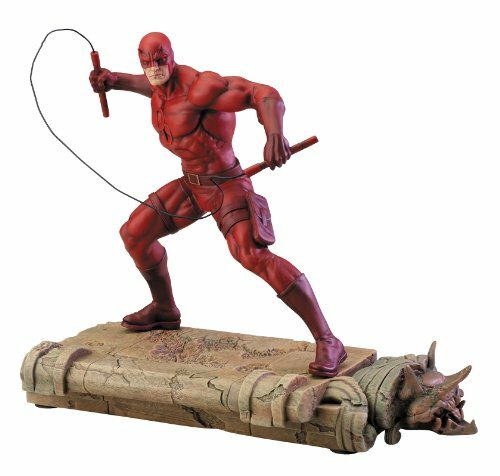 Add Daredevil to your Marvel Superheroes statues today!